This part shows how imagination played an important role in not only arriving at new concepts but predicting where the future may lead. The science fiction of yesteryear soon became the reality of today as the properties of light were explored and substances that reacted to it led to photography and the electric light, and as the properties of magnetism and electricity became understood, then more creative uses for these phenomena were found. During the Age of Enlightenment (17th and 18th centuries) scientific thought, skepticism and intellectual interchange were promoted and superstition opposed. From a science point of view, the physicist and mathematician Isaac Newton (1643–1727) was a key figure in the ongoing scientific revolution with the emergence of modern science, and the great developments in mathematics, physics, astronomy, biology, medicine, and chemistry that took place. John Napier (1550–1617) invented logarithms, William Oughtred (1575–1660) was credited as the inventor of the slide rule in 1622, Blaise Pascal (1623–1662) invented the mechanical calculator in 1642. In 1672, Otto von Guericke (1602–1686), generated electricity using a machine. In 1749, Benjamin Franklin (1706–1790) demonstrated that lightning was electricity. The many advances in all the sciences eventually led to the Industrial Revolution from about 1760 to around 1840. It was also a time when science fiction writers fired the imagination. People such as Jules Verne and H.G. Wells. These writings stimulated young minds to think about the future and what role they may play. The science fiction writing of the Frenchman Jules Verne (1828–1905), whose works include “Journey to the Center of the Earth” written in 1864 and “Twenty Thousand Leagues Under the Sea” published in 1870, were translated into other languages and spread around the world. He was also a writer of adventure stories such as “Around the World in Eighty Days” published in 1873. Englishman Herbert George Wells (1866–1946), whose works include “The War of the Worlds” written in 1895–97, “The Time Machine” published in 1895, “The Island of Doctor Moreau” published in 1896 and “The Invisible Man” published in 1897, “The First Men in the Moon” published in 1901, “The New Accelerator” in 1901, “The Sleeper Awakes” published in 1910, then after rewriting “When the Sleeper Wakes”, a story that was serialised between 1898 and 1899, it was followed with “The Shape of Things to Come” published in 1933. Wells also wrote in a number of other genres including utopian, history, science and social related novels. Both men became incredibly popular as visionaries of things likely to come. The first camera photography was evolving in the 1820s. According to a Greek-English Lexicon (edited by Henry George Liddell, Robert Scott, Henry Stuart Jones and Roderick McKenzie, and published by the Oxford University Press) the word photography derives from the Greek φωτός (phōtos), genitive of φῶς (phōs), “light” and γραφή (graphé) “representation by means of lines” or “drawing”, together meaning “drawing with light”. In 1816, the French inventor Nicéphore Niépce (1765–1833) used paper coated with silver chloride to produce a temporary photographic image. The silver chloride darkened when exposed to light, but as there was no way then to fix the image, the entire paper would gradually become black, whilst in the presence of light. In 1836, Niépce’s partner the French artist and physicist Louis Daguerre (1787–1851) used a copper plate coated with silver, that was then sensitised to light by iodine vapor to take a photograph. The image was developed by mercury vapour and fixed using a solution of table salt (sodium chloride). Once refined, this became known as the daguerreotype process, which was very popular, as it produced very sharp positive images. Meanwhile, the British inventor William Henry Fox Talbot (1800–1877) was conducting similar experiments, and came up with a negative – positive process called the calotype or talbotype process. But this was not as sharp, though was convenient for printing multiple positive copies from one negative. Over many years, a long list of people enhanced the chemical processes until modern day digital photography removed the need for the photographic darkroom. Traditional photography was to play a major role in the television industry, as the motion picture film camera was the only way of capturing news footage for broadcast, until the advent of videotape and Electronic News Gathering (ENG) cameras became small enough to be used for this purpose. Film was also the only practical way of recording content until videotape. 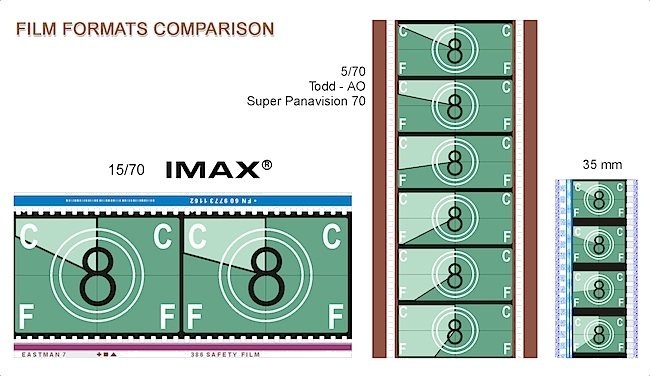 It would also take many years before television images would achieve the high definition of the 70mm cinema product on the big screen, and a durable storage form be found, as videotape emulsions were found to be more fragile than the film equivalent. It is only in more recent times that the techniques first developed for television are now being employed in the production of Hollywood movie making, with an all electronic process from image capture to editing and projection. The origins of the incandescent light bulb date back to the experiments of the English chemist and inventor Sir Humphry Davy (1778–1829) in 1802, with the Scottish inventor and author James Bowman Lindsay (1799-1862) demonstrating a constant electric light in 1835. British physicist and chemist Sir Joseph Wilson Swan (1828–1914) gained fame for inventing an incandescent light bulb before its invention by the American Thomas Edison, which he demonstrated in 1878. However, the lack of a good vacuum resulted in a bulb with a short lifetime. Meanwhile, Thomas Edison (1847–1931) had been working on copies of the original light bulb patented by Swan, in an effort to make them more efficient. 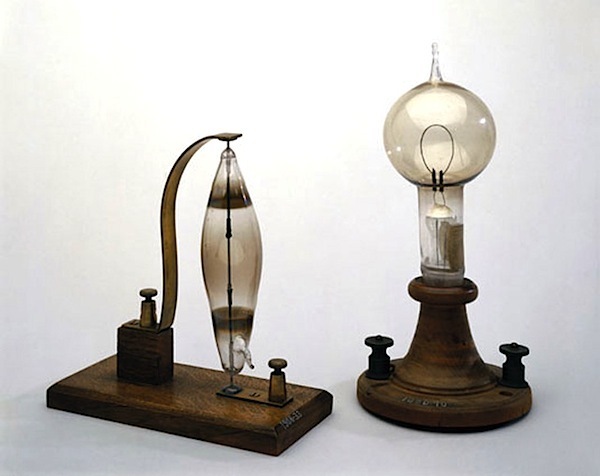 Though Swan had beaten Edison, Edison obtained patents in America for a copy of the Swan light. 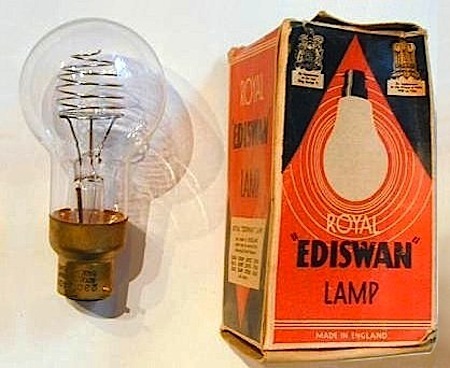 In 1883, the two men established the Edison & Swan United Electric Light Company, commonly known as Ediswan, which sold lamps made with a cellulose filament that Swan had invented in 1881. Then in 1904, the German/Hungarian chemist and inventor Alexander Friedrich Just (1874–1937) and Croatian inventor, engineer, and chemist Franjo Hanaman (1878–1941) were granted a patent for a tungsten filament lamp that lasted longer and gave brighter light than the earlier carbon filament. The filament that heats the cathode in a cathode ray picture tube in a television set owes its origins to this early work, but a lot of other concepts needed to be mastered before television would become a reality. 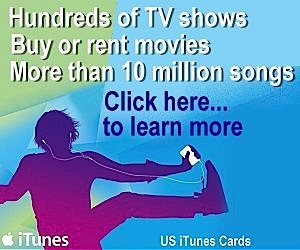 There was a vast swath of individuals who contributed to the creation of television. Many were basic discoveries on which others were built, whilst others truly revolutionised the field. Work was taking place on different continents, there was duplication of effort, with the benefits blazing a trail for a new information age and entertainment industry. People worked as individuals and as teams, then there were cases of great competition which led to litigious fights. Worst cases pitted the brilliant small inventor against the greedy giant corporate entrepreneur, who had all the resources to bully the underdog. But if it was not for the brilliant work of contributors who mastered the properties of magnetism, electricity and optics, none of the big media capitalists who followed, would have made their fortunes. Another important discovery was found by the English electrical engineer Willoughby Smith (1828—1891) in 1873. He is credited with discovering the photoconductivity of the element selenium, which led to the invention of photoelectric cells, including those used in the earliest television systems. Smith’s job at the time was responsibility for the manufacture and laying of underwater telegraph cables, at which time he observed that the semi-conductor he used in continually testing the cables gave inconsistent results. He then found that the electrical resistance of the grey selenium semi-conductor varied according to the level of light it was exposed to. Nature publishes original reports whose conclusions represent a substantial advance in understanding of an important problem and have immediate, far-reaching implications. 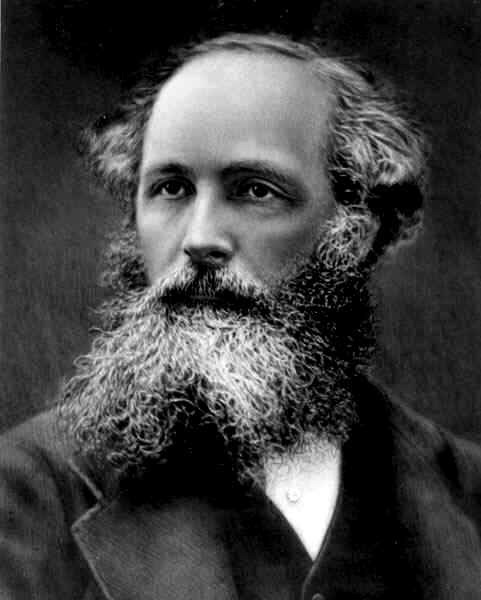 Many of the building blocks for wireless and television developers were provided by the Scottish theoretical physicist and accomplished mathematician, James Clerk Maxwell (1831–1879), who produced his “Treatise on Electricity and Magnetism” in 1873. Maxwell earlier demonstrated that white light would result from a mixture of red, green and blue light and demonstrated this by projecting three slides, from separate magic lanterns with coloured filters, where each represented the appropriate image for that colour. The composite image then represented the full range of colours of the original subject. This additive system of using Red, Green and Blue as the primary colours was adopted by colour TV. Colour film photography uses three layers of filters on the emulsion, then subtracts the colours from each other. 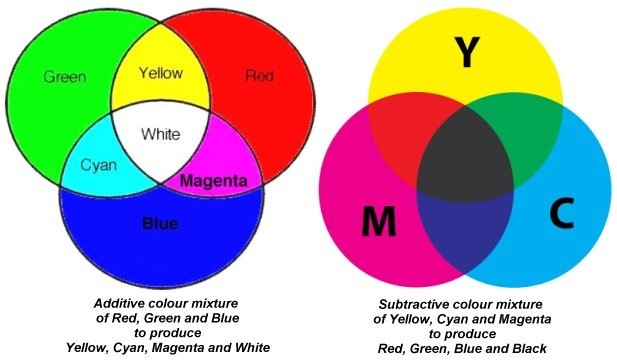 In this case, Yellow, Cyan and Magenta are the filters used. Where colour TV white consists of R+G+B and black being an absence of all, a colour photo uses Y+C+M to produce black. White is a lack of pigmentation and is thus transparent letting the lamp light through to represent white. After encountering the English scientist Michael Faraday (1791–1867) at the Royal Institution, whose efforts led to a practical use for electricity, Maxwell then concentrated on the fields of electricity and magnetism, and presented a simplified model of Faraday’s work to the Cambridge Philosophical Society in 1855, and publishing more on the subject in 1861. Soon after he calculated that the speed of propagation of an electromagnetic field is approximately that of the speed of light, making a quantitative connection between the two. Maxwell’s work inspired Albert Einstein to formulate the theory of special relativity. It took many people in many different fields to bring all the knowledge together and put it to practical use. A Welsh-American scientist and musician named David Edward Hughes (1831–1900), used trial and error experiments to start putting aspects of this knowledge into practice when he discovered that sparks would generate a radio signal, that could be detected by listening to a telephone receiver of his design. Following this, he developed a primitive spark-gap transmitter and receiver that had the ability to send and receive Morse code signals, which he demonstrated to representatives of the Royal Society in 1880. It was the semiconductor properties of the microphone he invented that exhibited qualities associated with Édouard Branly’s “coherer” (referred to below), that made wireless reception possible. There were a lot of scientists doing work independently that would fine tune these concepts and devices until they reached the greater sophistication found in modern equipment today. 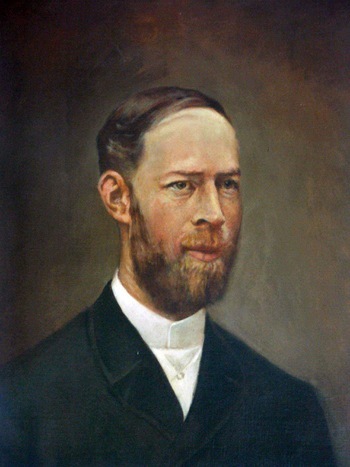 A German physicist Heinrich Rudolf Hertz (1857–1894), who clarified and expanded James Clerk Maxwell’s electromagnetic theory of light, also validated through more rigorous scientific techniques that which was first demonstrated by David Edward Hughes, using non-rigorous trial and error procedures. 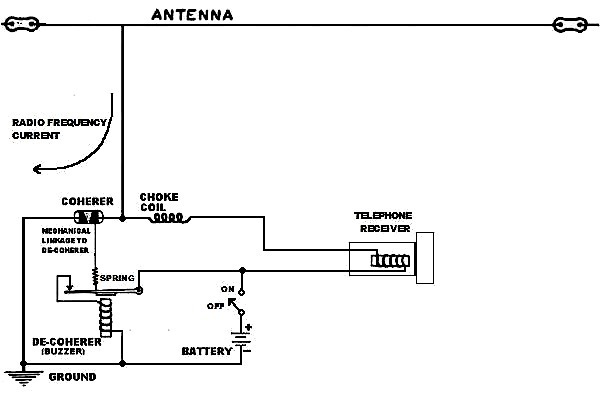 The spark-gap transmitter had an uncomplicated design and because the carrier stopped when the telegraph key was released, it allowed the operator to listen for a reply. 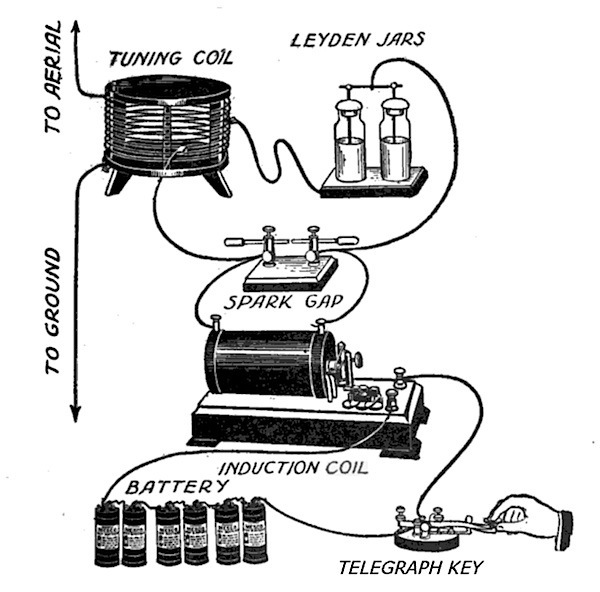 The Leyden jar in the above diagram is a device that “stores” static electricity between two electrodes on the inside and outside of a glass jar. It was the original form of a capacitor (originally known as a “condenser”). The induction coil or “spark coil” is a type of electrical transformer used to produce high-voltage pulses from a low-voltage direct current (DC) supply. It consists of two coils of insulated copper wire wound around a common iron core. One coil is called the primary winding, with the other coil is called the secondary winding. The primary stores energy from its associated magnetic field. When the primary current is suddenly interrupted (as by a telegraph key), the magnetic field rapidly collapses, causing a high voltage pulse to be developed across the secondary terminals through electromagnetic induction. This is typically many thousands of volts and sufficient to cause an electric spark. Michael Faraday (1791–1867) discovered the principle of induction, though an Irish scientist and Catholic priest Nicholas Callan (1799–1864) invented the induction coil in 1836. 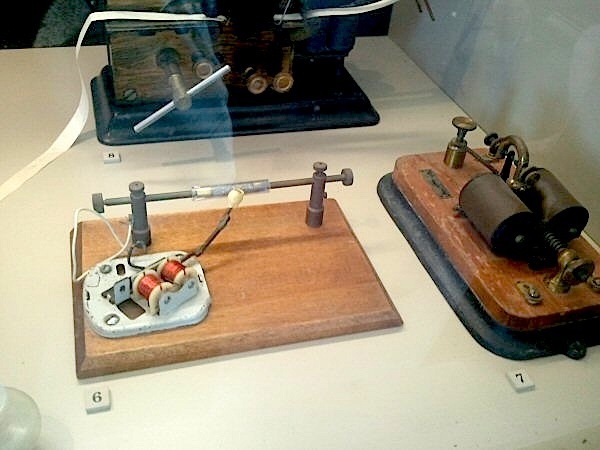 Receiving morse code by wireless needed a practical receiving instrument, to act as a telegraph relay. The first widely used detector device to do this was referred to as a coherer, This was invented around 1890 by the French physicist Édouard Branly (1844–1940). This device involved placing metal filings in a glass box or tube, and making them part of an ordinary electric circuit. The explanation was that when an electromotive force is generated in it, they bring the filings more closely together, that is, to cohere, and in doing so close a previously open circuit, much like a relay. But the filings once cohered would retained their low resistance until shaken apart, for instance, by tapping on the tube. Not very reliable for an ongoing use, as it would required constant intervention. To make it more practical, it needed a “decoherer”, developed by British radio pioneer Sir Oliver Joseph Lodge (1851–1940), to maintain the device’s sensitivity after each morse code reception. In 1895, the Russian physicist Alexander Stepanovich Popov (1859–1906) used a coherer with an auto-tapping mechanism to demonstrate the practical application of electromagnetic radio waves to the Russian Physical and Chemical Society. Guglielmo Marconi used these in his early radio equipment until the availability of the superior crystal detectors were invented by Braun in 1898. The Serbian-American inventor, electrical engineer, mechanical engineer and physicist, Nikola Tesla (1856–1943), started working in the telephony and electrical fields before emigrating to the United States in 1884 to work for Thomas Edison to solving some of the company’s most difficult problems. According to Tesla, Edison remarked, “There’s fifty thousand dollars in it for you — if you can do it.” After months of work, Tesla fulfilled the task and inquired about payment. 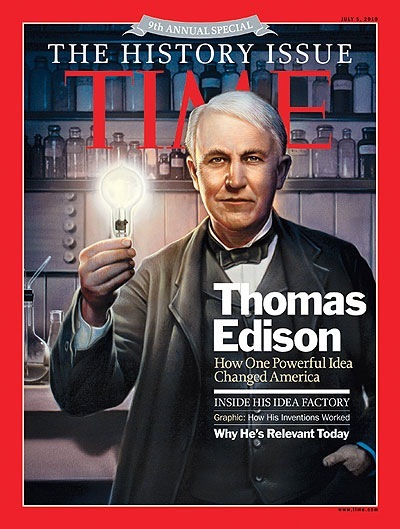 Edison, claiming that he was only joking, replied, “Tesla, you don’t understand our American humor.” Instead, Edison offered a US$10 a week raise over Tesla’s US$18 per week salary; Tesla refused the offer and immediately resigned. He went on to design and build a viable alternating current motor and power system that eventually succeeded over Edison’s direct current system, to become the method of electricity distribution we know today. 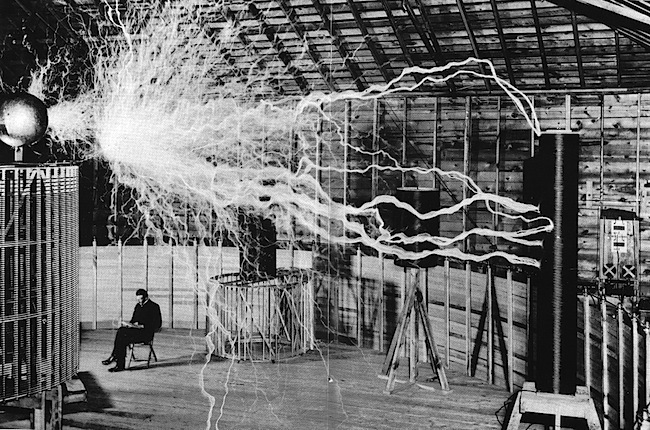 Tesla went on to demonstrate wireless energy transmission (Tesla effect) as early as 1891. 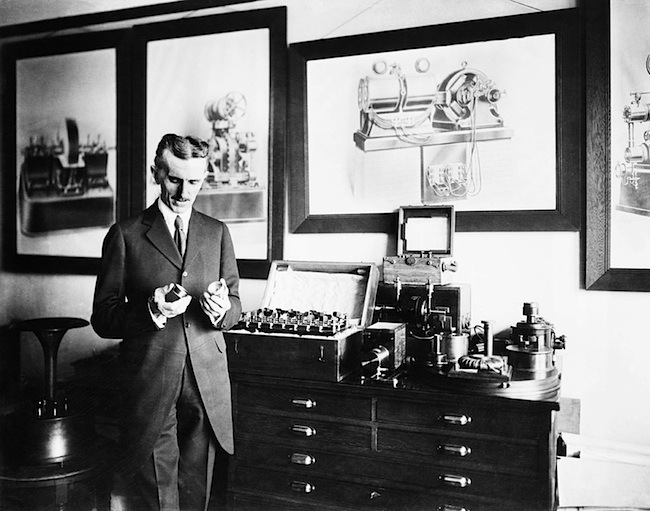 Tesla claimed in 1916 that, “By the plan I had conceived, if it was realizable, it was just as easy to telegraph or telephone across the entire globe as it is across this room.” The wireless method that Tesla planned to use depended upon an electrical current flowing through the earth between a Tesla coil transmitter and a Tesla coil receiver. The Bengali polymath, physicist, biologist, botanist, archaeologist, as well as an early writer of science fiction, Sir Jagadish Chandra Bose (1858–1937), demonstrated publicly the use of radio waves in Calcutta in 1895, before Marconi’s wireless signalling experiment on Salisbury Plain in England in May 1897. But Bose was not interested in patenting his work and was thus criticised for making no profit from his inventions. Later he received U.S. Patent 755,840, “Detector for electrical disturbances” (1904), for a specific form of electromagnetic receiver. 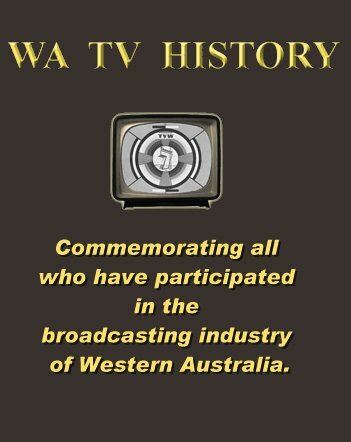 Part 3 tells how all the ingredients gradually came together for television to become a reality. The discovery of cathode rays, wireless propagation, the gadgetry and people who made it all happen.